Peter C. Smith is Emeritus Professor of Health Policy at Imperial College London. 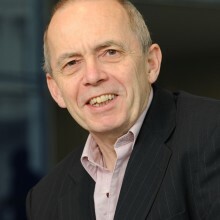 He is a mathematics graduate from the University of Oxford, with previous appointments at the University of Cambridge and the University of York, where he was Director of the Centre for Health Economics. His main research interest is in the economics of health, and his recent work has focused mainly on the financing and efficiency of health systems in low and middle income countries. Peter has published over 150 academic articles and 12 books., and has advised many governments and international agencies, including the World Health Organization, the International Monetary Fund, the Global Fund, the World Bank, the European Commission and the Organization for Economic Cooperation and Development.